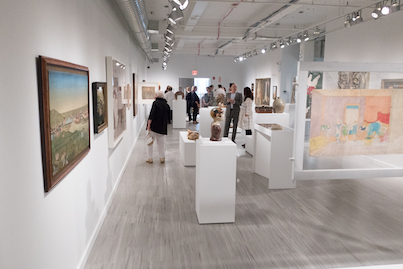 Highlights from the museum’s permanent collection are always on view in changing exhibitions. Open Monday through Thursday, 11 am to 5 pm. Admission is free. Generously supported by the Henry Luce Foundation, the new gallery shows folk and self-taught art from the eighteenth through twenty-first centuries drawn from the museum’s collection of more than 8,000 works of art. 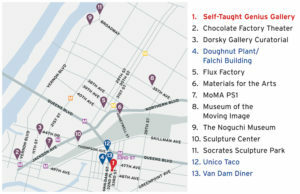 New York Experienced is curated by Steffi Duarte, assistant curator of the Self-Taught Genius Gallery. 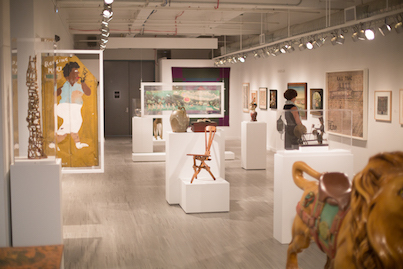 The Self-Taught Genius Gallery invites visitors of all abilities to experience the museum’s permanent collection in an inclusive, welcoming environment. Visitors with mobility impairment should make an appointment so that access to the building’s freight elevator can be coordinated. 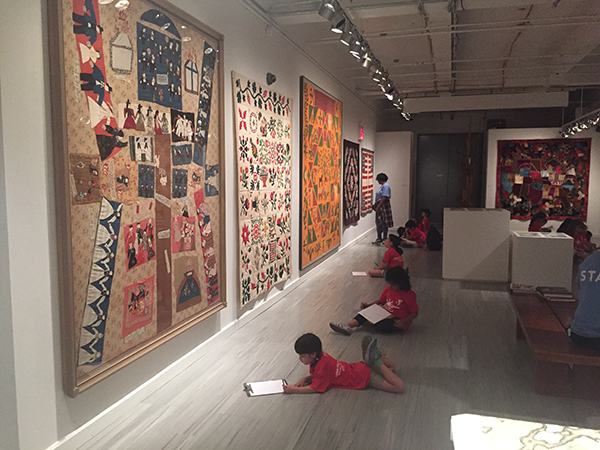 To schedule an appointment, email education@folkartmuseum.org, or call 212. 265. 0605. Lead time may be required. 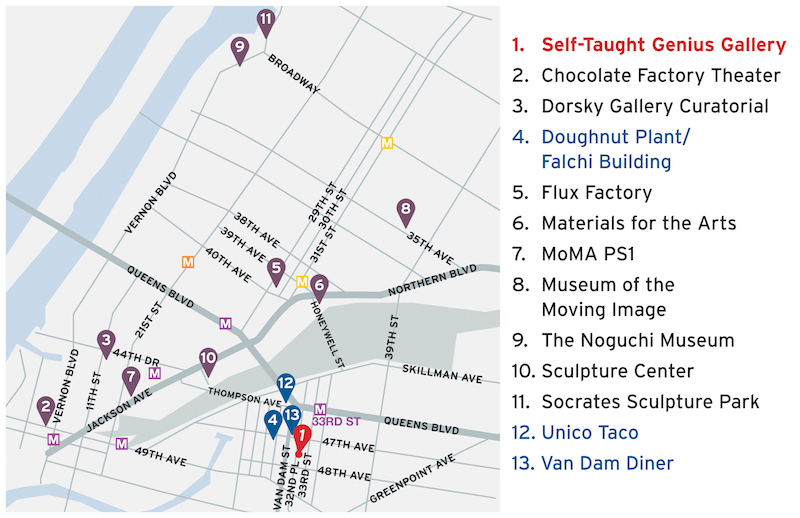 Queens schools may book free, facilitated programs at the Self-Taught Genius Gallery. 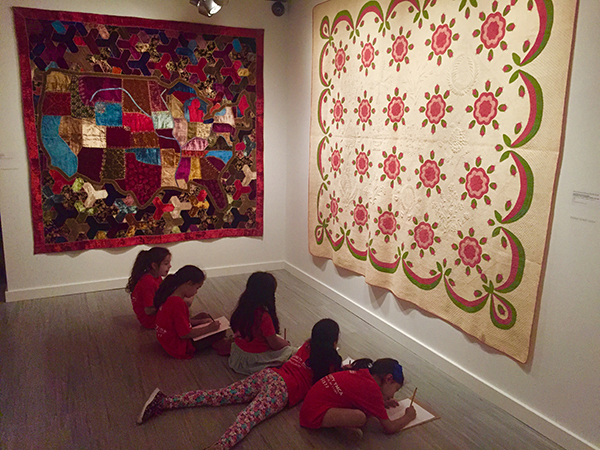 The gallery can accommodate up to 15 students per visit. 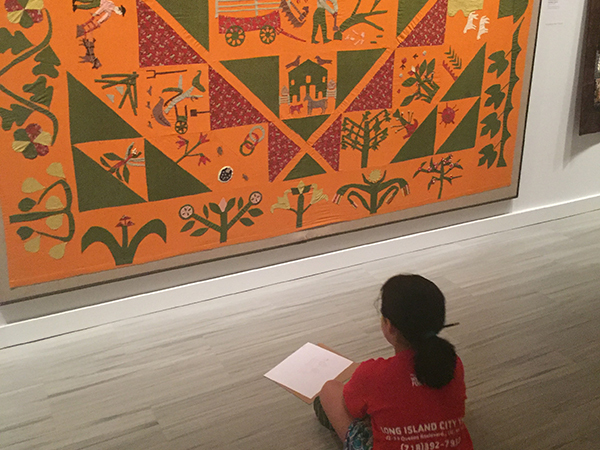 To schedule a guided student tour, email grouptours@folkartmuseum.org. Adult groups of 10 or more are required to book a self-guided appointment in advance. To book a self-guided appointment, email grouptours@folkartmuseum.org. 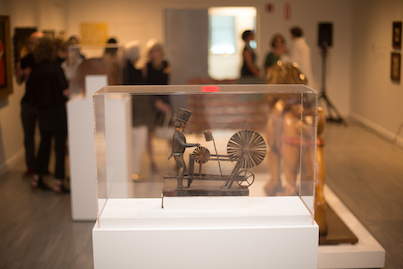 For groups with 10 or more who would like to book a private, guided tour, email grouptours@folkartmuseum.org. Fees will apply. 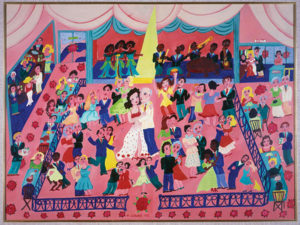 Image credit: Subway Riders (detail), Ralph Fasanella (1914–1997), New York City, 1950, oil on canvas, 28 x 60 in., American Folk Art Museum, gift of Ralph and Eva Fasanella, 1995.8.1. Gallery photos by Andrew Piccone and Rachel Rosen.